Viktor Mayer-Schönberger is Professor of Internet Governance and Regulation at the Oxford Internet Institute of Oxford University and co-author of the international best-sellers Reinventing Capitalism in the Age of Big Data, and Big Data: A Revolution That Will Transform How We Live, Work, and Think. He is among our leading thinkers on trends, and the current and future ways that Big Data, Information Technology and Artificial Intelligence are changing the face of everything from product development and scientific discovery, to human learning and health care, transportation, retail, finance and marketing. An internationally acclaimed and sought-after keynote speaker, Mayer-Schönberger has addressed a wide spectrum of audiences, from high-level corporate board retreats to large audience conventions, including such companies as IBM, SAP, Microsoft, Roche, Oracle, Haier and Huawei, professional organizations such as the ITU, the IAPP, and the AACC. With a media presence that straddles the international print media, such as the New York Times, the Wall Street Journal, the Financial Times, the Guardian, Die Zeit, Der Spiegel, El Pais, or Le Monde, international broadcast media such as CNN, BCC, PBS or CCTV, and online media such as Ars Technica, Daily Kos, and Wired, Mayer-Schönberger brings special recognition to events where he speaks. Why is Big Data transforming the way we live, work and think? What really is Big Data, beyond the hype? How will Big Data offer new sources of revenue to businesses, and how will organizations change in the Big Data age? 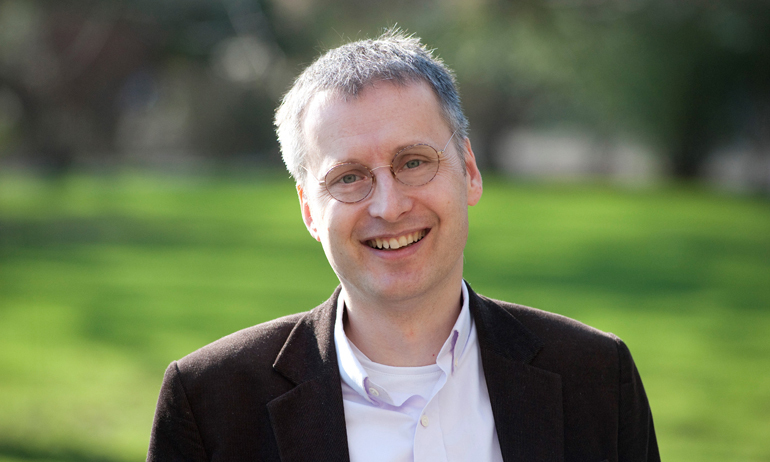 These are just a few of the questions Professor Viktor Mayer-Schönberger has talked about in over a hundred speeches since his book, the international bestseller “Big Data” (co-authored with Kenneth Cukier) was published. In his speeches he has looked at Big Data’s role in changing the face of everything from product development and scientific discovery, to human learning and health care, transportation, retail, finance and marketing. Professor Mayer-Schönberger has also talked about the role of human remembering when capturing and storing digital memory has gotten so easy and cheap. He has talked about user trust, and information privacy, as well as the need for relevance in the data we keep. More generally, he has spoken about the evolution of the information economy, and how our work and our lives change because of our digital tools and networks. In modern history, the story of capitalism has been a story of firms and financiers. That's all going to change thanks to the Big Data revolution. As Viktor Mayer-Schönberger shows, data is replacing money as the driver of market behavior. Big finance and big companies will be replaced by small groups and individual actors who make markets instead of making things: think Uber instead of Ford, or Airbnb instead of Hyatt. Is data replacing money as the driver of market behavior? Will large finance companies and businesses be replaced by small groups and individual actors who make markets instead of making things? What are the real lessons we need to learn from Uber and Airbnb?